Home › Marketing Thoughts › Pink Washing- Is Awareness Enough? Well October has come and gone and Target’s moved many of it’s Pink for Breast Cancer Awareness items to clearance to make room for Christmas merchandise. 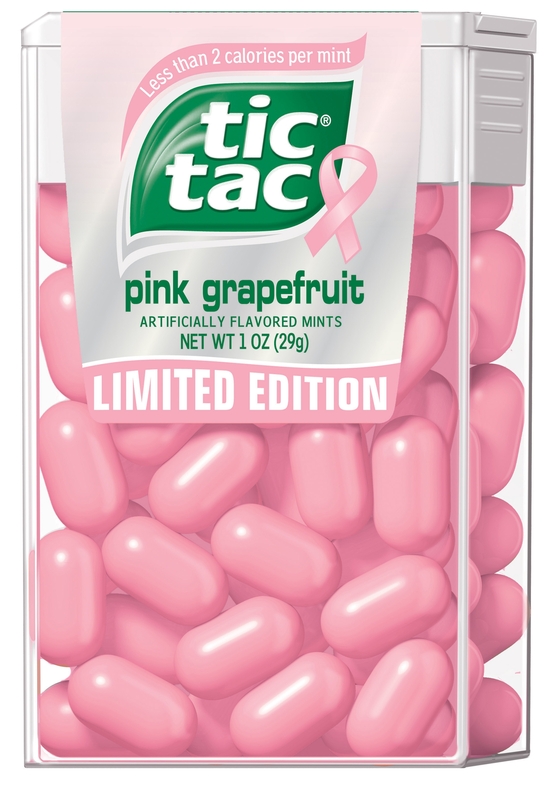 When October rolls around you can’t escape the sea of pink ribbon products from pink guns to pink Tic Tacs not to mention the plethora of pink themed events. Many of Charlotte’s uptown buildings are even illuminated in a pink glow for October. Most pink ribbon products donate some of their profits to one breast cancer organization or another, the most popular being Susan G. Komen for the Cure. There’s been a lot of discussion surrounding the idea of “pinkwashing”, companies hopping on the pink ribbon bandwagon with shady motives. These companies are either vague with the percentage of sales that go toward breast cancer prevention/research/victims or slap the pink ribbon on their labels to increase sales but don’t actually donate any of the sales to breast cancer causes. There’re also multiple instances of pinkwashing where the same company that’s “working to end breast cancer” is also selling products containing carcinogenic ingredients, sometimes even the item wearing the pink ribbon contains these carcinogens. As a female it’s easy to get sucked into all the excitement of Pinktober, but after doing just a bit of research it’s clear there is often an ulterior motive behind that pink label. The companies whose products wear the pink ribbon but don’t donate any money to related causes often say that they include the ribbon to raise “increase breast cancer awareness” but at what point do we, as consumers, say ok, enough with the awareness jig, we want action! When I buy something with a pink ribbon I want it to go to: Research for a cure, specific prevention and detection programs, care for those currently fighting the disease, or support for those who’ve lost loved ones to breast cancer. 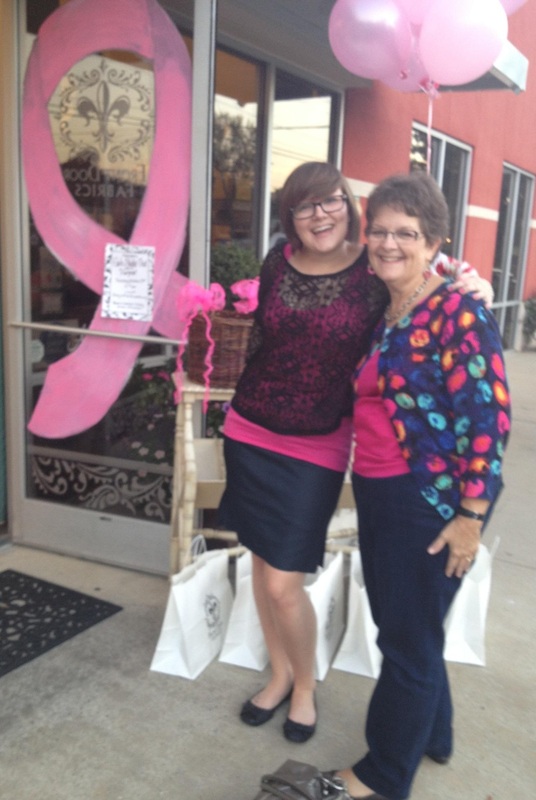 This year, I had the privilege of helping a family friend with a “Pink” fundraiser event at her store Front Door Fabrics. A portion of the night’s sales from the store and all the participants went to the Pretty in Pink Foundation, which helps NC women cover the costs of breast cancer treatment when they have no health insurance. While their website doesn’t have the stats, the costs of treatment are astronomical and the options for women without insurance are slim to none. Instead of pulling salary money from fundraising money when government grants ran out, their staff went months without a paycheck, which demonstrates just how dedicated these folks are to helping women. It was a fun event, but more than that, the spirit of “women helping other women” was apparent, and I was proud to be a part of it. In no way do I think that all pink ribbon items/events are conniving marketing ploys attempting to trick you into buying things under the guise of helping stop breast cancer, but do think before you buy something just because it’s pink. Read the label, Google the product, and then decide if you want 3-25% of your money to go to the specified organization or if you’d rather donate the same amount to an organization whose purpose and spending habits you’re educated on. Find out more from people who know more than me! Trailer for Pink Ribbons, Inc.